DWDD or De Wereld Draait Door (which means The World Keeps Turning) is a popular Dutch television program. The program is presented by Matthijs van Nieuwkerk and is a mix of news, information and entertainment. Today (29th of January 2015), the DWDD Pop Up Museum opened its doors. It was opened by several famous Dutch persons like Pieter van Vollenhoven, Nico Dijkshoorn, Matthijs van Nieuwkerk, Jan Mulder and many others. All of them are often involved with the popular TV-show DWDD. This museum in Amsterdam has 10 different rooms, all filled with art. The art comes from 10 different museums in The Netherlands. Like the Central Museum in Utrecht and museum in The Hague. The theme of the DWDD Pop Museum is: “hidden artists“. So, going to the DWDD could safe you a lot of time, as you don’t have to visit all those cities. 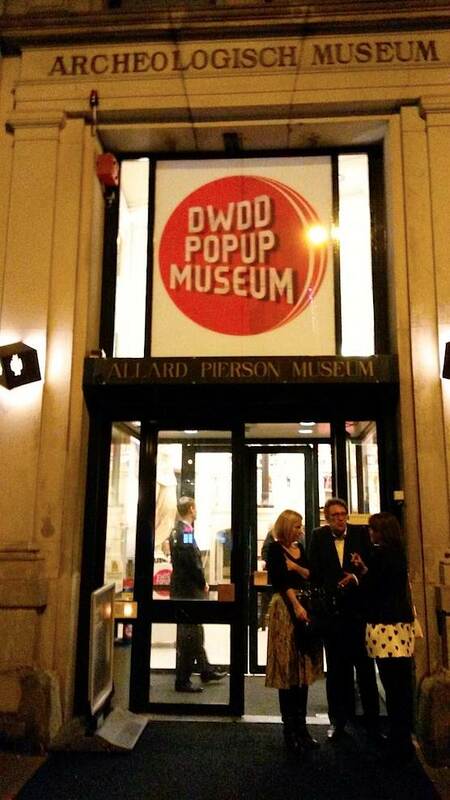 The DWDD Pop Up Museum uses the building of the Allard Pierson Museum, which is located on the Rokin street in the city centre. 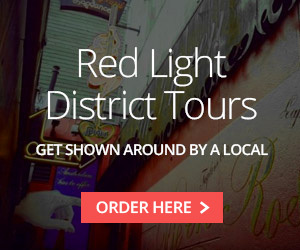 Just 10 minutes away from the Red Light District. This is how the front of the museum on Amsterdam’s canal side looks with some sun. We visited the pop-up exhibition that is now to be seen in the Allard Pierson Museum, right in the center of Amsterdam. It normally is a place where ancient Egyptian things are shown. Now 10 celebreties from tv, cinema and theater had their pick from the depots of 10 museums across Holland. This resulted in 10 completely different views of hidden art. From Nico Dijkshoorn’s hilarious view to Halina Reijn’s morbid look upon things, complete with skulls. After checking the 10 rooms, we took refuge to see the old stuff, which was very interesting. A good 3D model of the Gizeh piramids, old leather shoes from Jesus’ time, large stone statues, you name it. Small exhibition but carefully selected. Good to know: The DWDD Pop Up Museum also has its own restaurant. Tickets can be bought at the door. It’s opened between 29th of January and 25th of May. How to get to the DWDD Pop Up Museum? 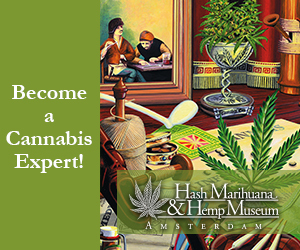 This museum is located between Dam Square and the Rembrandt Square. 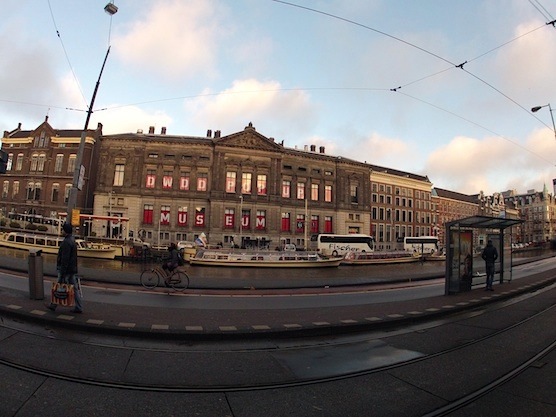 If you stand on Dam Square and you have the Royal Palace behind you, follow the main street on your right. This street is called Rokin. 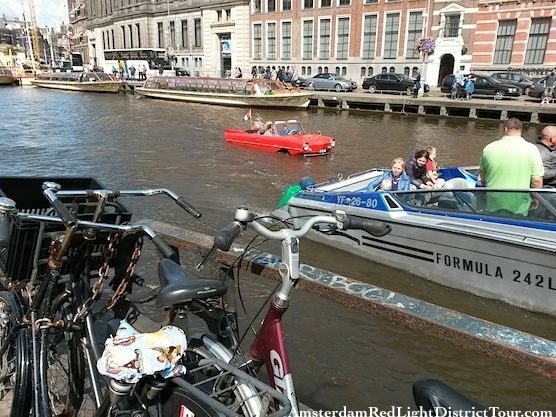 If you see trams and the canal, you know you’re going the right direction. It’s 100 yards away from the Munt Tower. Another museum which we would definitely recommend is the Rijksmuseum (or State Museum) in Amsterdam. CLICK HERE to check it out!